On Tuesday we are expecting light rain and drizzle for all the day except the evening, where the sky will be overcast (de: bedeckt). In the early morning of tuesday there might be some wind. On Wednesday quite nice weather, with some nice clouds involved, but a little windy (especially in the early afternoon this might be an advisatory by M.I.L.K.). 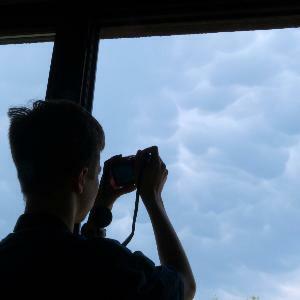 Please try to take pictures of nice/impressive clouds and publish them on the forum. On thursday Already in the morning light rain, sometimes with short pauses. In the early afternoon it will not change, and in the evening it will be dry, but overcast. And caution please! 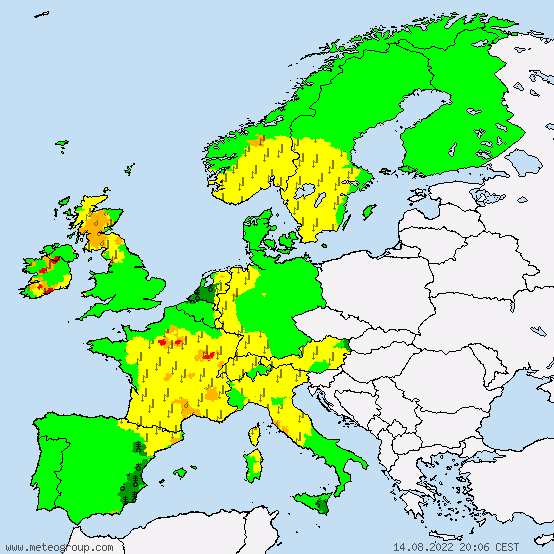 Already in the morning we are expecting stormgusts level 1 with speeds of about 54kmh. At noon The speeds will not change, and in the evening The storm will loose streangth with only 49kmh (advisatory). On Friday relatively nice weather, with some nice clouds expected. (please try to take pictures!). On Saturday quite cloudy, in the evening overcast and a little windy. On Sunday untill the evening overcast, then Moderate rain showers! Accompanied by level 1 warning winds of up too 52kmh. All this information can be upgraded, downgraded, or changed (in a new article) any time.